Sunday, January 21st, is World Snow Day. 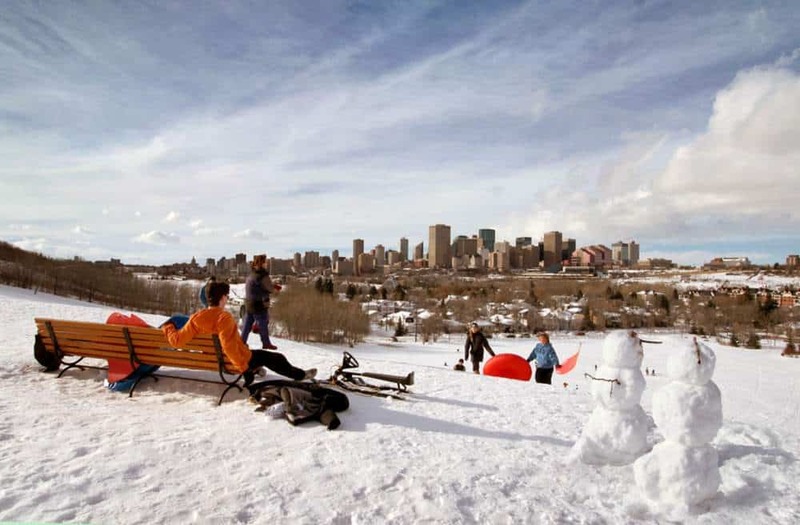 In Edmonton, there are a few ways that we can celebrate – hitting up one of your favourite toboggan hills in the city, attending one of the Snow Day events, or visiting a local ski hill. Join professional biologists from the Alberta Chapter of the Wildlife Society, Nature Alberta, the Beaver Hills Initiative and the Strathcona Wilderness team for a fun, family-friendly outdoor event! There’s plenty of snow themed fun to be had at Snow Valley on World Snow Day including special Snow Day gates, an obstacle race, giveaways and more! Don’t miss cheering on the Masters at their Snow Day race. Jump and Jive at City Hall! Local bands bring the swing with live jazz and big band music every Sunday from 1:00 to 4:00 pm during January and February. The Sugar Swing dancers will be on hand to teach you a new step or two. This free event is fun for all ages! Join us for these two annual community events celebrating all things winter! Take part in a variety of free outdoor activities for the whole family, including: snow painting; snowshoeing; snow-fort building; hot chocolate; and much more! Please dress for the weather. How are you spending world snow day?